According to a latest study published in the Journal of Pediatrics, obesity can negatively impact the liver health in not just adults, but in children as young as 8-year-old too. Obesity is fast emerging to be one of the most rampant concerns in the global health and nutrition circuit. Obesity is a physiological condition involving excessive body fat that increases the risk of several health problems. According to WHO, a person with a BMI of 30 or more is generally considered obese. According to a latest study published in the Journal of Pediatrics, obesity can negatively impact the liver health in not just adults, but in children as young as 8-year-old too. The latest research conducted by the Columbia University Medical Center,found that bigger waist circumference at age 3 raises the likelihood of early obesity by age 8. Many of these children then begin to have markers for non-alcoholic fatty liver disease. 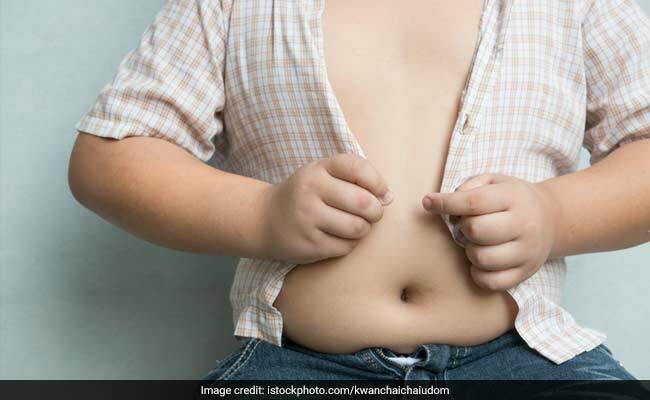 More and more obese kids are being diagnosed with nonalcoholic fatty liver disease. While most parents are aware of the risk of type 2 diabetes and other metabolic conditions, but not many are aware of the risk of serious liver diseases that obesity can bring along in a very tender age, noted the researchers. Nonalcoholic fatty liver disease occurs when too much fat accumulates in the liver and triggers inflammation, causing liver damage. The condition is the most common chronic liver condition in children and adolescents. The most threatening aspect of the disease is that it is generally symptomless. But progression of nonalcoholic fatty liver disease can lead to cirrhosis (scarring) of the liver and, in some instances, liver cancer. For the study, the researchers measured blood levels of a liver enzyme called ALT - elevated ALT is a marker for liver damage and can occur in individuals with nonalcoholic fatty liver disease and other conditions that affect the liver - in 635 children from Project Viva. Project Viva is an ongoing study of women and children that is being run in Massachusetts. The findings revealed that by age 8, about 23 percent of children in the study had elevated ALT levels. Children with a bigger waist circumference (a measure of abdominal obesity) at age 3 and those with greater gains in obesity measures between ages 3 and 8 were more likely to have elevated ALT. It was found that 35 percent of 8-year-olds with obesity had elevated ALT versus 20 percent of those with normal weight. According to the researchers, it is very crucial to take into account the liver health of obese children as soon as possible. One of the best way for kids and adults to combat fatty liver disease is to lose weight the healthy way. Staying away from fried and processed foods, avoiding sugary beverages and goods, is also a must to manage obesity better. Swap refined carb sources for whole grains. A whole grain is a grain of any cereal that contains the endosperm, germ, and bran, in contrast to refined grains, which retain only the endosperm. A whole grain manages to retain all the nutrients that are processed in the refining. Stock up on whole grains like bajra, ragi, maize and jowar and use them often. Load up on seasonal vegetables. They provide both soluble and insoluble fibres in addition to vitamins, minerals and antioxidants, which are very essential for a perfect state of health.